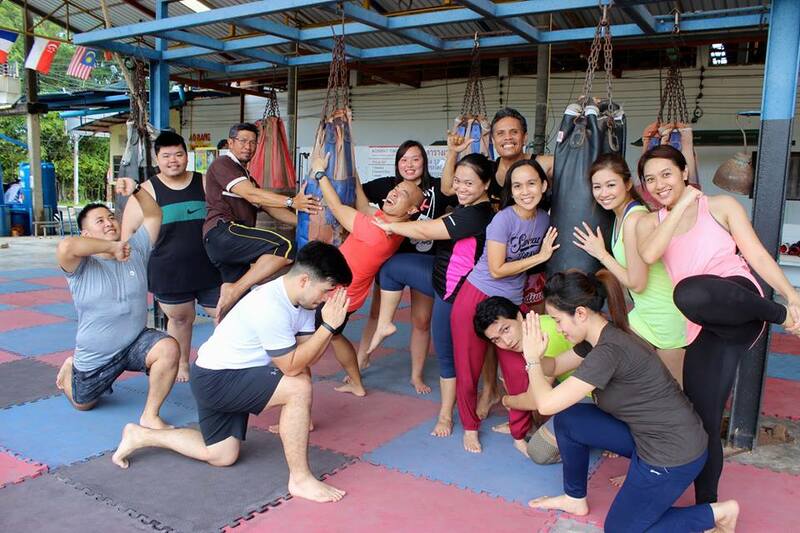 Discover the national sport of Thailand at AoNang Cliff Beach Resort Fitness Club, offering a variety of courses that'll introduce you to Muay Thai. Practice the techniques of this contact sport under the tutelage of experienced trainers--you'll learn the main punches, kicks, and blocking and dodging moves. In addition, you'll be told the history of the sport and learn about the ceremonial parts of Muay Thai, along with its importance to the cultural heritage of the nation. Feel free to use the other facilities available here, such as the pool and gym equipment. You'll find fresh-cooked meals at the onsite restaurant and snack bar. Choose to start, finish, or center your holiday on a trip to AoNang Cliff Beach Resort Fitness Club by using our Krabi Town trip itinerary site . The place is not very easy to find, thanks to the taxi drivers are enthusiastic to make a number of calls to ask the way to send us. The facilities are relatively rudimentary and are not the same as those shown in the introduction picture. But the uncle in class is very enthusiastic, the teaching technology is also very good. This experience class can be said to be the best I've ever felt in a fitness class. The charge is 1000 baht per person for 1.5 hours. Every day, we help thousands of travelers plan great vacations. Here are some tips on how to use your Listing Page to attract more travelers to your business - AoNang Cliff Beach Resort Fitness Club. Promote your permanent link - https://www.inspirock.com/thailand/ao-nang/aonang-cliff-beach-resort-fitness-club-a8165067707 - on your website, your blog, and social media. When a traveler builds a plan from this page, the itinerary automatically includes AoNang Cliff Beach Resort Fitness Club. This is a great way for travelers looking for a great vacation in your city or country to also experience AoNang Cliff Beach Resort Fitness Club. Promoting your link also lets your audience know that you are featured on a rapidly growing travel site. In addition, the more this page is used, the more we will promote AoNang Cliff Beach Resort Fitness Club to other Inspirock users. For best results, use the customized Trip Planning Widget for AoNang Cliff Beach Resort Fitness Club on your website. It has all the advantages mentioned above, plus users to your site can conveniently access it directly on your site. Visitors to your site will appreciate you offering them help with planning their vacation. Setting this up takes just a few minutes - Click here for instructions.